TSQLQuery is an object that can embody a dataset coming from a database (RDBMS that uses SQL, such as Firebird, MS SQL Server, Oracle...). Using a SELECT SQL statement in the TSQLQuery's SQL property, you can determine what data is retrieved from the database into the dataset. When the dataset is changed by the program (or user), the changes can be submitted back to the database. A TSQLQuery can also be used to directly modify data: if you specify the desired INSERT, UPDATE, DELETE etc SQL statement in the SQL property and call the ExecSQL method of the TSQLQuery, the query object will send the SQL to the database without retrieving any results. The dataset returned by TSQLQuery can conveniently be viewed with an instance of TDBGrid, but it is not very suitable for editing the data in the individual fields and cells. For this purpose you need to place some Data-Aware single-field controls such as TDBEdit on your form, and set their DataSource poperty to the data source being used. The DataField property should be set to a named field (eg 'IDENTITY') or to some expression that returns a suitable string. Addition of a TDBNavigator toolbar makes it very easy to navigate through the records, and to select records for editing. When a record is selected by the toolbar or by moving the mouse through the data grid, the data for the relevant row and column appear in the TDBEdit box and if the 'Edit' button is clicked, the contents in the Edit box can be modified. Clicking on the 'Post' button confirms the change, or clicking on the 'Cancel' button cancels the changes. 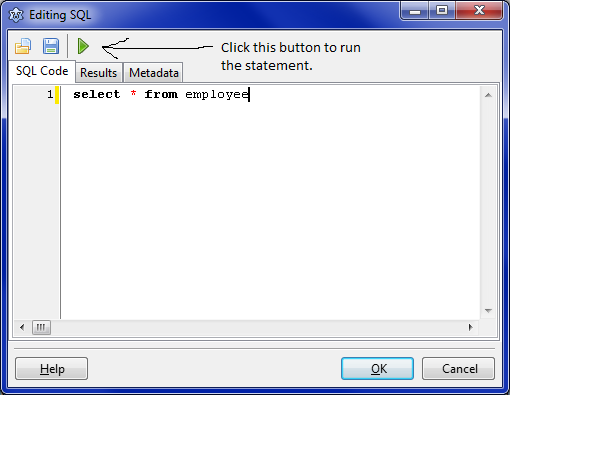 Drop a TSQLQuery on a form/datamodule, and set the Database, Transaction and SQL properties. Drop a TDataSource component, and set its DataSet property to the TSQLQuery instance. Drop a TDBGrid on the form and set its DataSource property to the TDataSource instance. Optionally, drop a TDBNavigator instance on the form, and set its Datasource property to the TDatasource instance. contain one PRIMARY KEY column. If there is no primary field, or no fields that uniquely determine your record, then a primary key field should be added. This is done preferably when the table structure is designed, at CREATE time, but can be added at a later time. The TSQLQuery component caches all updates. That is, the updates are not sent immediately to the database, but are kept in memory till the ApplyUpdates method is called. At that point, the updates will be transformed to SQL update statements, and will be applied to the database. If you do not call ApplyUpdates, the database will not be updated with the local changes. All these properties are of type TStringList, a list of strings, that accepts multiple lines of SQL. All four come with a property editor in the IDE. In the IDE, select the property and open the editor by clicking the ellipsis button. 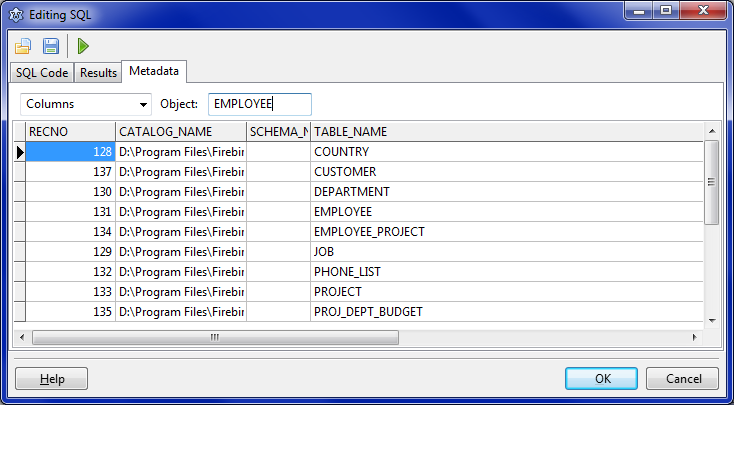 In this editor (TSQLQuery metadata tool), you may also look up table information etc. The values of the variables can change and the query values will change with them, just as with parameterized queries. The parameter %d is used for integers, %s for strings; etc. See the documentation on the Format function for details. This page was last modified on 24 February 2017, at 21:29.